In November 2014 I had the honour of being nominated for, and winning, an award in the Daily Mirror / RSPCA Animal Hero Awards. 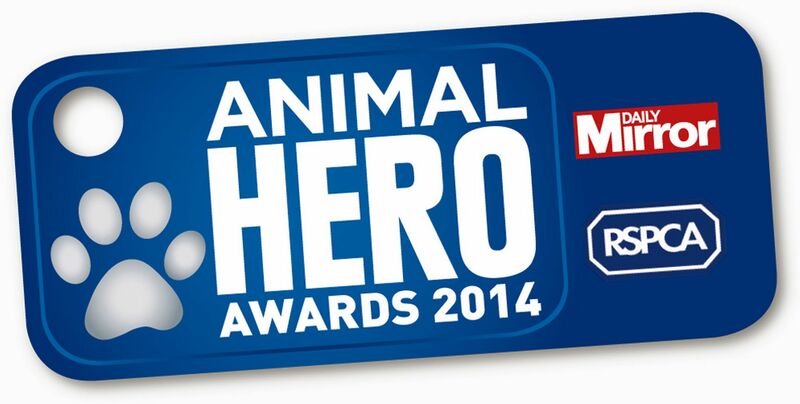 The Daily Mirror and RSPCA Animal Hero Awards recognise the UK’s most devoted animals and the people who work to help animals. The ceremony, hosted by actress Amanda Holden at the Grosvenor House in London, celebrates the special bond that exists between man and beast and the lengths each will go to to help the other. I was amazed to win the Animal Enthusiast of the Year award, which was presented to me by Bill Oddie. Celeb Supporter of the Year – Dr Brian May, CBE.